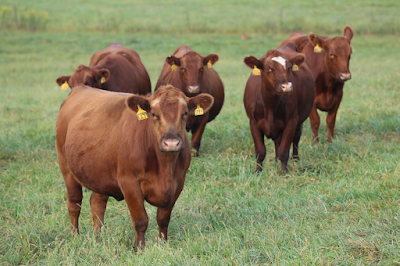 The American Gelbvieh Association (AGA) has released genomic-enhanced EPDs with the fall 2014 international cattle evaluation. Genomic-enhanced EPDs (GE EPDs) combine pedigree, individual performance and genomic information to save time and money, reduce risk, and accelerate the rate of genetic progress. GE EPDs provide more precise EPDs based on a combination of both phenotype and DNA. One major benefit of these EPDs is risk reduction through increased accuracies. These increased accuracies save time when assessing young breeding stock as well as deliver commercial customer confidence when buying seedstock. 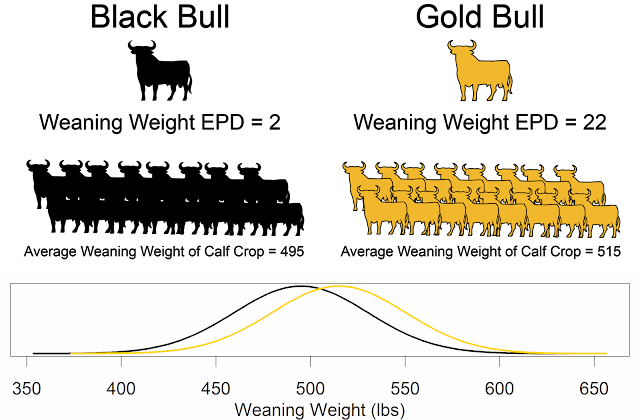 Herd improvement is accelerated when breeders can more accurately identify young individuals with the best genetics. GE EPDs also give the chance to collect data on economically important traits, which are expensive or difficult to measure. The information from the genomic data can be as informative as a bull's first calf crop or a cow's lifetime production record. Since the genomic data is incorporated directly into the EPDs, cattle producers will not have to learn how to interpret the new data. Development of GE EPDs for Gelbvieh and Balancer® animals has been in progress at the AGA since 2012, starting with the Genomic Pioneers project. This project helped to build a diverse panel of Gelbvieh and Balancer genetics to be the foundation genetics for the calculation of the GE EPDs. "The AGA has been working closely with the scientific community over the past couple years to build the training population for developing GE EPDs for the Gelbvieh breed," says Susan Willmon, director of breed improvement at the AGA. "Implementing genomic-enhanced EPDs is a high-priority goal in the AGA's strategic plan and we are excited to be able to offer this tool to our breeders and their commercial customers." EPDs that are genomically-enhanced will show up on the new American Gelbvieh Association Registry Service as highlighted in yellow. All animals with these enhanced EPDs will also have the AGA GE EPDs logo on their registration certificate. For more information on GE EPDs visit Gelbvieh.org or contact Susan Willmon at susanw@gelbvieh.org or call 303-465-2333. Be sure to click on the links for more A Steak in Genomics content!